While you are looking forward to your first trip to Brazil, you are looking for a way to fit in a lesser known but worthwhile destination. This is because you have always long held the belief that cities that aren’t as touristy offer a much more authentic experience with respect to the local culture … besides, who wants to crawl over masses of foreigners while attempting to enjoy a place? Your ambitions will have you catapulting all over the world’s fifth largest nation though, so you are also aware that you’ll have to use Brazil’s domestic flight network. As a result, this will be your first time flying with TAM airlines, but take heart: they have an excellent reputation for hospitality, and as a foreigner, they will be doubly certain to make sure your first exploration of Brazil is a strongly positive one. Now that you are pumped to check out the hidden secrets of South America’s biggest nation, here are three lesser known cities in the nation that will blow your mind … let’s begin. 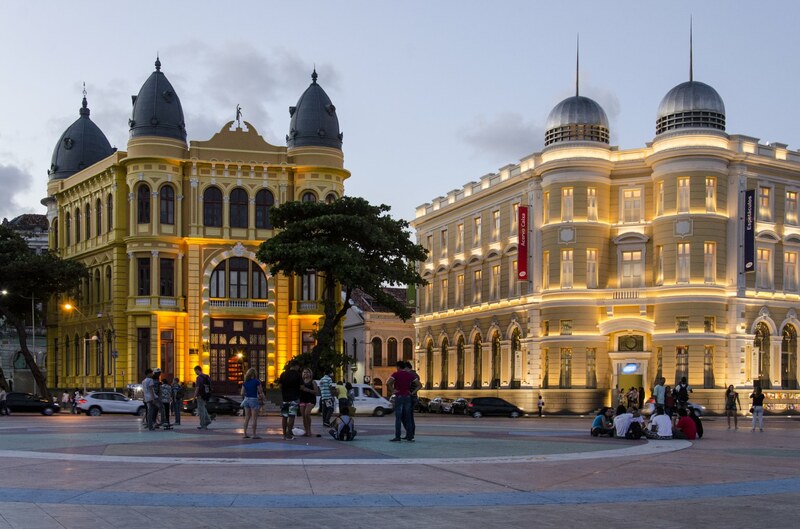 Settled initially by the Dutch, Recife has a historical core that will make this coastal a favorite among culture vultures. The highlights include the oldest synagogue in all of the Americas, Marco Zero Square, which contains a stunning array of buildings, as well as a slate of impressive catherdrals and fortifications. The beaches here are very well-regarded, so you can start working on your tan on one of its famed city beaches. If beaches are a thing you take seriously though, Fortaleza would be a better choice for you than Recife. 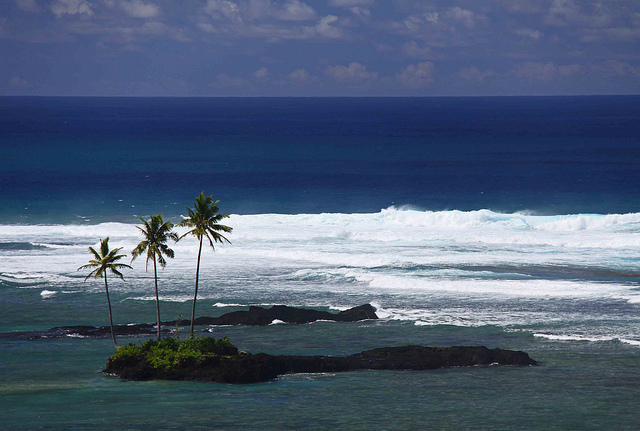 The surf here kicks up pretty high much of the year, making it a great place to paddle out into the choppy waters of the Atlantic in search of the perfect swell. Are the urban beaches of Fortaleza not exactly what you are envisioning when it comes to a paradisaical getaway? Then we strongly advise that you take a day trip out of the city to the beach town of Jericoacoara, and then ask around about Lagoa Paraiso or Lagoa Azul … we promise that you won’t be disappointed! Fans of modern architecture will want to set their sails for Brasilia, the purpose built capital city of Brazil. Visitors will bear witness to the optimistic vision of the future that planners had in the 1950’s, with cathedrals, court buildings, and bridges containing sweeping curves and George Jetson-esque design throughout their modernist forms. Those looking for adventure and sights on the outskirts will find it in the form of waterfalls, with Itiquira waterfall being the best of the lot standing 168 metres tall from top to bottom. Hisaronu is an excellent choice for a holiday in Turkey if you’re looking for a resort that’s got a bit of everything. It’s particularly good if you’ve never visited the country before, as it’s well placed to allow you to explore some of the surrounding area. I’m going to give you a bit of information about Hisaronu itself, as well as some of the nearby attractions that are easily accessible – you can find out more about booking a holiday in the resort by clicking here. Hisaronu is one of the liveliest resorts on the Turquoise Coast, boasting numerous restaurants, bars and clubs, not to mention a variety of shops. This makes it perfect if you’re looking for somewhere with all the amenities you’ll need in a relatively small area. It’s also great if you enjoy having a night out or two during your holidays, as there are plenty of places where you can let your hair down. Among the top bars are Hakuna Matata, the Grand Boozey and Zombie – although there are lots more to choose from. Another thing that makes Hisaronu popular is its location set slightly back from the coast in the hills. While this may initially sound like a disadvantage, it’s actually something of a blessing as the town remains cooler in the hot summer months than the coastal locations, making it much more pleasant, particularly overnight. It’s also within easy reach of the nearest beaches, so you don’t have to worry about travelling for hours on end just to reach the seaside. I think one of the best things about Hisaronu is its location – nestled between Fethiye and Olu Deniz, it’s well placed for you to visit a range of attractions. Olu Deniz’s blue lagoon is one of the most popular spots to head to, but nearby you also have Babadag mountain (which is great for paragliding) and the start of the Lycian Way walking trail. Another must-visit is Kayakoy, an abandoned village that is fascinating to explore. This was once home to a thriving Greek community, who all moved on in 1923 following the Greek and Turkish exchange of population agreement. This ghost town is made up of well-preserved buildings, although many of them now have no roofs or windows. Among the landmarks you should look out for here are its various churches and its fountain that dates back to 1888. It’s also worth taking your walking boots and following the trail that leads from the village to Cold Water Bay – a lovely, secluded spot where you can relax and go for a swim before heading back to Hisaronu. Another reason to come here is to visit the small restaurant that serves up a host of local dishes, including wild boar stew. From Hisaronu you can also travel to another of the Turquoise Coast’s resorts – Dalyan. This charming town has a strong connection to the region’s Lycian past, with rock tombs carved into the cliffs behind the town. It is also close to the impressive archaeological site of Kaunos, where you can see ruins that are centuries old. However, Dalyan’s main appeal is Iztuzu Beach, which is a protected area where no development is allowed. This is because it’s a nesting site for the endangered loggerhead turtle, which also means that there’s no public access to the beach overnight. Dalyan isn’t right on the coast – it’s set slightly inland on the banks of the Dalyan River. The best way to get around here is by one of the local water taxis, which can take you to the beach for a relatively low cost. Get the most out of your vacation at one of the Yucatan Peninsula’s earliest resort areas, by knowing the best time to visit Tulum. It may not be Cancun, but its picturesque coastlines and pristine beaches have made it a place of worship and relaxation by Mayan kings, clergy and gods in the early times. And up to today, it’s one of the most visited resort towns in the country, with its famous Mayan ruins and breathtaking beaches. January to March. During this time, temperatures are at its peak, ranging from high 60s to high 80’s and the chances are rain are very slim. It’s also the peak season where the ruins and the beaches are jam packed with tourists and hotel prices soar. Though, with a little digging, you will be able to find good deals. April to June. During late spring, the temperatures continue to rise, but the prices of accommodation start to fall, except when the famous Cinco de Mayo festival is fast approaching. July to September. Hurricane season may mean low hotel prices, but it may also mean having to check the weather every once in a while. During this time, there’s a big chance that you might get caught in a bad storm. But even if there isn’t any hurricane or storm in the horizon, expect to have your itinerary ruined by sweltering temperatures and frequent rains. October to December. 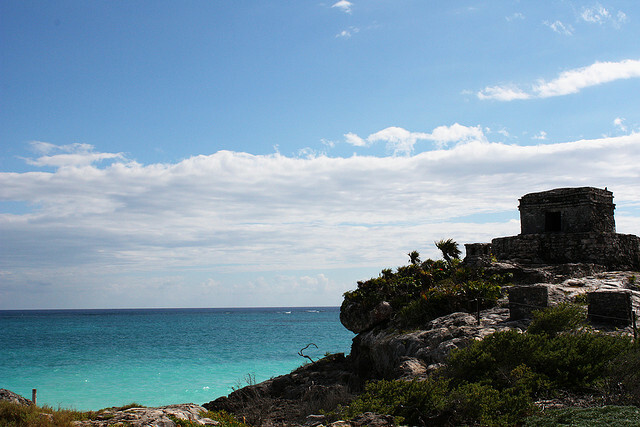 The best time to visit Tulum is when the hurricane season has passed and the temperature falls down to around low 80’s. But do plan ahead. Come early winter-time, tourists from the U.S. start swarming in Tulum during this time to escape the freezing cold of winter in the United States. But you can save a great deal if you make reservations and book flights upon the start of the winter season.